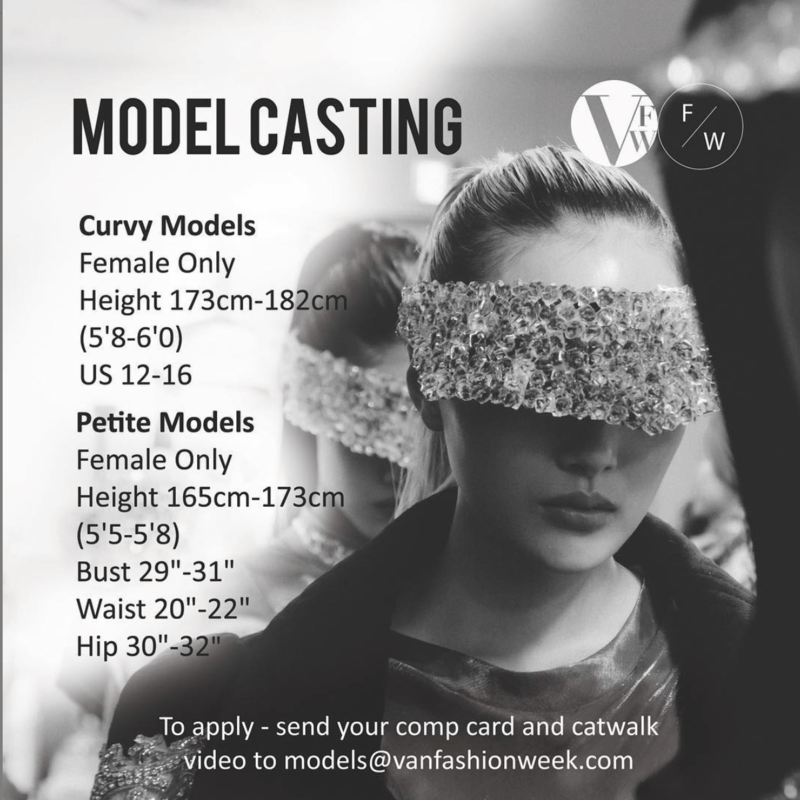 Vancouver Fashion Week (VFW) is apologizing for a casting call asking female models with 20 to 22-inch waistlines to audition for a show. 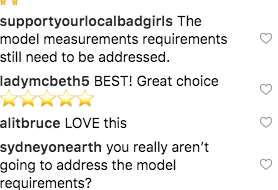 Size requirements in the post specified that models should have a waist size between 20 to 22 inches and hips between 30 to 32 inches. 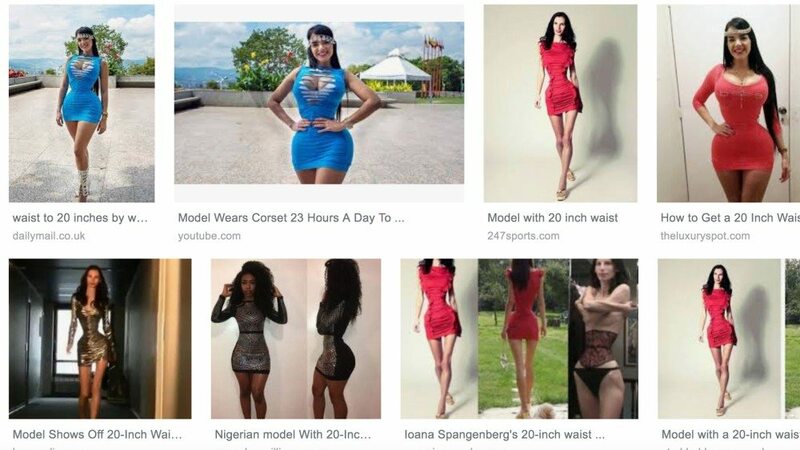 A quick Google search of a 20-inch waist comes up with alarming images showing women with extremely cinched-in midsections. Many of the images are photoshopped or show women who have used corsets to achieve these minuscule measurements. The post was met with backlash as many criticized VFW for what it believed were unhealthy weight standards. 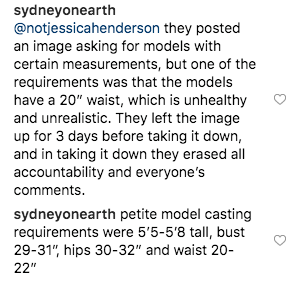 VFW removed the post but continued to receive comments on other Instagram photos regarding the weight requirements. On Sunday, VFW posted a response to comments on Instagram and issued an official apology on its website. “Vancouver Fashion Week is dedicated to diversity and inclusivity which is why we present a huge variety of emerging designers collections from around the world with different sized models from petite to plus sized to wear their distinct clothes,” read the post on Instagram. “We would like to apologize for this. We strive to promote body positivity,” said VFW. On its website, VFW provided a more detailed response — saying the post was a mistake. “We want to make it absolutely clear that we support and champion models no matter their size, gender, ethnicity or background. 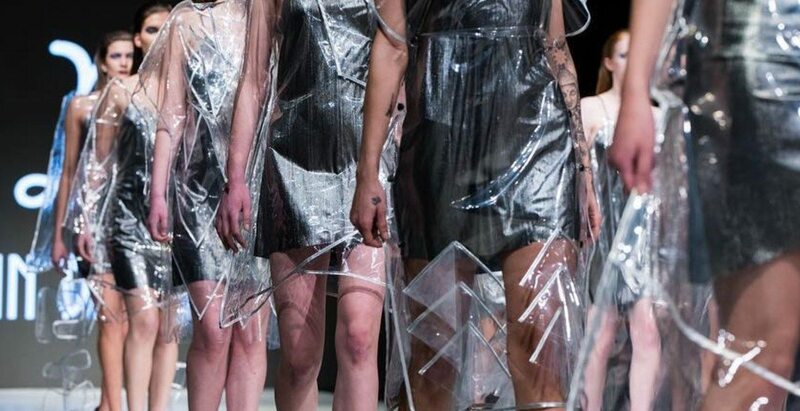 We believe every body type is a cause for celebration and we welcome designers who encourage body positivity and who redefine what ‘beauty’ and ‘style’ mean in today’s society,” said VFW. Despite the apology, VFW continued to face backlash on social media. Vancouver-based model and actress Lexi Redman commented on VFW’s apology post, saying it didn’t go far enough to cover the damage done at VFW — and the controversy around it. “A 23-inch is the lowest I’ve ever heard of in international modelling,” she said, adding that she has walked shows in Europe and Asia. Redman points out that that the height requirements do not qualify as petite. Sophia Dishaw, who has worked as an international model since 2009, also took to Instagram to express concern with the VFW apology. “Even at my very lowest weight — which was extremely unhealthy and would have been considered minimum model sizing — my measurements were much larger than what [VFW] posted,” she told Daily Hive. For Redman, VFW’s apology “beat around the bush” when it came to addressing the issue at hand. Daily Hive reached out to Vancouver Fashion Week for comment but did not hear back before publication.